You’ve undoubtedly arrived at this post because you asked the question, “What is a CNA?” A Certified Nursing Assistant is an Allied Health practitioner who performs a wide variety of patient care duties while working under the supervision of an RN or LPN. They are highly-valued for their versatility and, as a result, are employed at health care facilities ranging from general hospitals to local community clinics. Unlike other nursing personnel, the CNA does not need a college degree or any type of specialized certification in order to secure employment. That said, however, job opportunities and salary are significantly impacted by whether or not the certified nursing assistant has chosen to specialize. If you’re thinking about enrolling in CNA training classes, you may want to take this into consideration and look for programs that offer specialized certificate programs. What is a CNA’s Primary Purpose? The primary purpose of the CNA is to assist other nurses with basic patient care. This usually includes performing such support activities as feeding and bathing patients, helping them change their clothes, monitoring vital signs and immobilizing or moving injured individuals. Because maintaining good hygiene and a sterile environment is crucial to a patient’s recovery in many cases, these types of certified nursing assistant duties are considered extremely important by health care providers. What Does a CNA Do In a Nursing Home? According to the latest data from the Board of Labor Statistics, nursing homes employ more CNAs than any other type of facility in the country. The obvious reason for this is that basic care-giving is the greatest area of need among elderly patients, so nurses aides tend to be viewed as perfect fits. 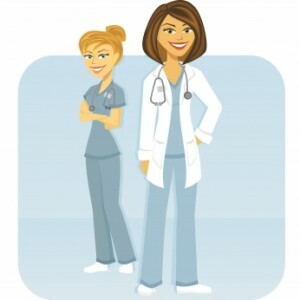 Unlike CNA positions one would find in a hospital, for instance, individuals who are employed in Certified Nursing Assistant roles in assisted living communities are often asked to go beyond their normal job description by organizing activities, assisting with trips to the store, and much, much more. The closest a certified nursing assistant ever comes to playing a more medical role to a patient is the reporting and documentation of treatment information, as well as changes in health or behavior on a daily basis. Nonetheless, these health care professionals are highly valued by all of the facilities that employ them, because they are an integral part of day-to-day operations.